Bogdan Bogdanovic made a game-winning tip-in with 4.9 seconds to go to lift first place Fenerbahce Istanbul to a 68-70 road win over Khimki Moscow Region. Fenerbahce finished the regular season an 8-2 record in Group A, while Khimki goes into the Top 16 with 5-5 record. Tyrese Rice led Khimki to an early lead, as big as 37-28 in the second quarter, but Jan Vesely got Fenerbahce going before tying it at halftime, 39-39. The teams engaged in trading leads throughout the second half. The game went down to the wire, and at the very end, Bogdanovic’s game-winning tip-in and Ekpe Udoh’s steal sealed the win. 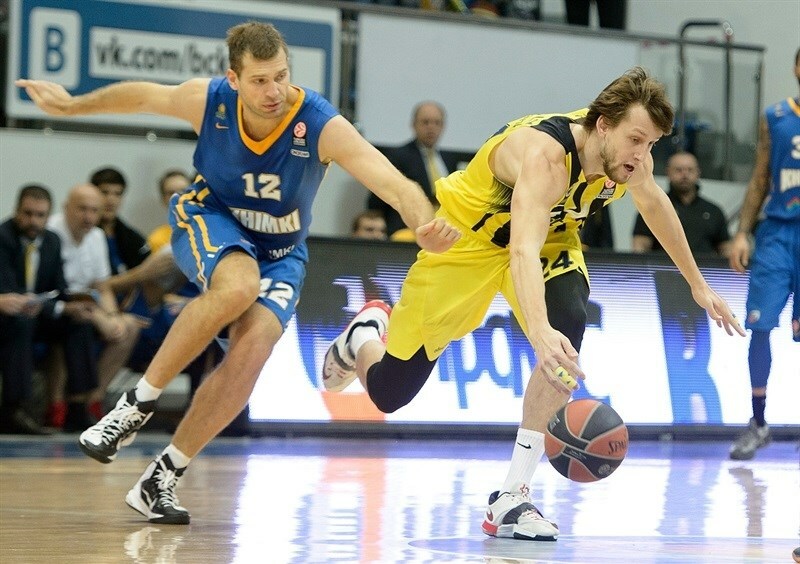 Vesely paced the visitors with 19 points and 6 rebounds. 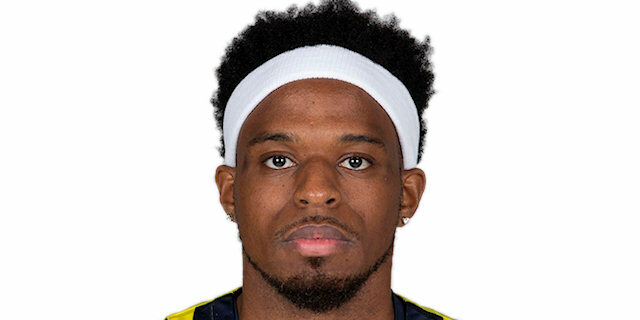 Bobby Dixon was clutch in the fourth quarter and finished with 16 points, and Bogdanovic had 13 points, 5 rebounds and 5 assists. Udoh chipped in with 11 points, 3 steals and 2 blocks in victory. 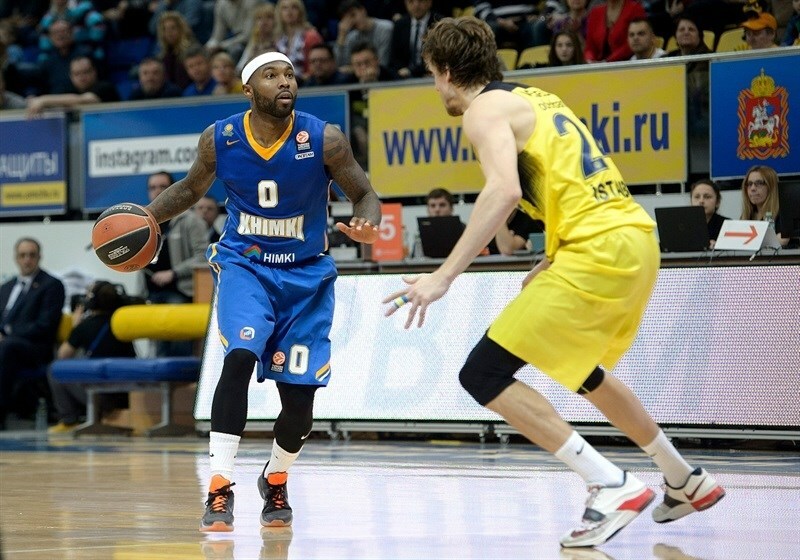 Rice scored 15 of his 19 points in the first quarter to lead Khimki. Alexey Shved netted 16 on 5-for-9 three-point shooting, and Zoran Dragic scored 13 in a losing effort. 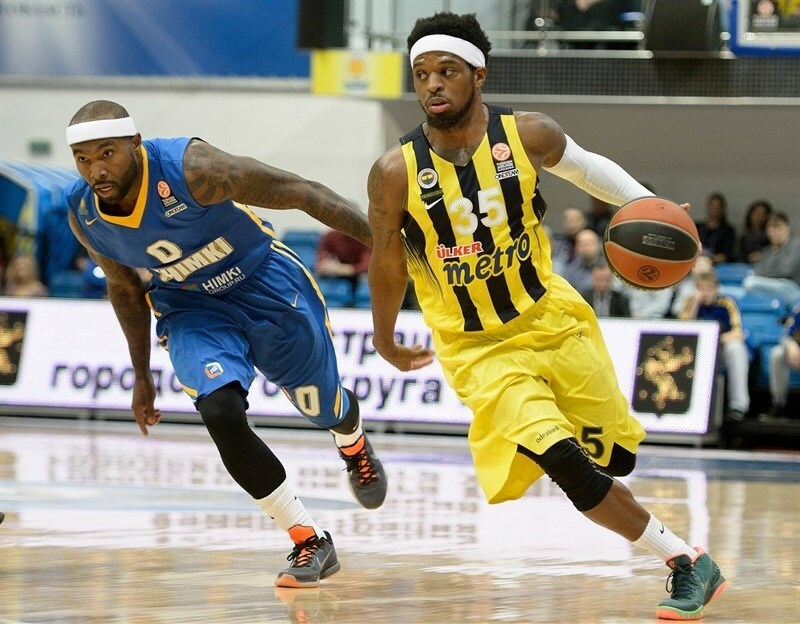 Dixon opened the game with a fastbreak layup, but a three-pointer and a runner by Rice gave Khimki a 5-2 edge. Bogdanovic nailed a triple and Udoh scored inside, but Rice fed James Augustine for a dunk. Luigi Datome hit a short baseline jumper, before trading layups with Rice to tie the game at 11-11. Shved hit back-to-back shots from downtown for Khimki, but Nikola Kalinic made a short jumper, followed by a quick steal and a corner triple by Dixon. Udoh scored inside again to give Fenerbahce a brief lead, 17-18. Rice put Khimki back in front with a three, and after Vesely hit a mid-range jumper, Petteri Koponen scored a layup-plus-foul to make it 23-20. Rice added a step-back three to his tally of 15 first quarter points, but Vesely banked in a wild last-second three-pointer that made it 26-24 after 10 minutes. Marko Todorovic scored inside to start the quarter and Dragic drove to the hoop. Kostas Sloukas put Udoh in a position for an easy dunk, but Dragic bettered it with a corner triple that extended the margin to 33-26. After more than two minutes without field goals, Dragic drove for a layup, then Rice scored in heavy traffic to extend it to 37-28. But Vesely scored from close range, forced a turnover and raced for a big fastbreak dunk. 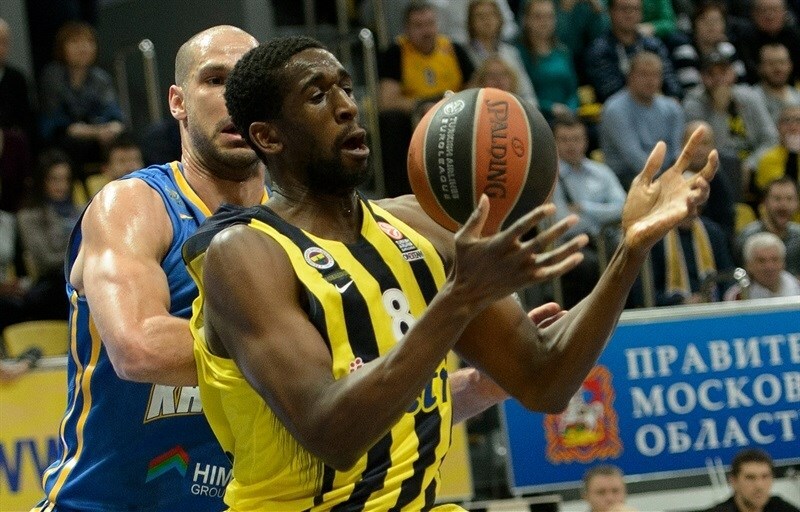 Udoh scored twice inside before Vesely elevated for a monster one-handed slam to make it 39-39 at halftime. Tyler Honeycutt nailed a long jumper on the opening possession of the second half, but Dixon answered with a three-pointer. Honeycutt had a fastbreak dunk, but Vesely scored inside, and Bogdanovic hit from the outside to give the visitors a 43-47 lead. 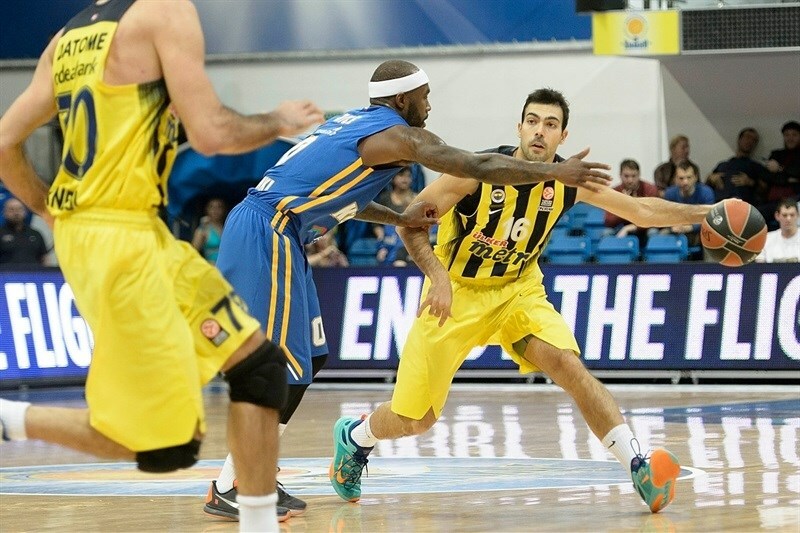 Fenerbahce held the hosts without a point for four minutes before Rice made a pair of free throws. 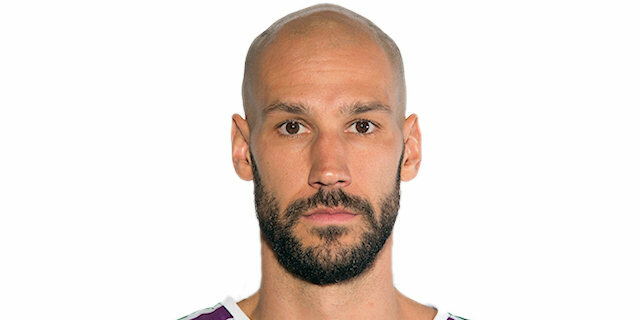 Pero Antic hit from downtown for Fenerbahce to extende the margin to 5 points, but Todorovic made a couple of foul shots and Dragic made a runner that cut the deficit to 49-50. Vesely on one end, and Todorovic on the other, scored from close range in the first two minutes, before Dragic finished a fastbreak with a layup for a 53-52 edge. 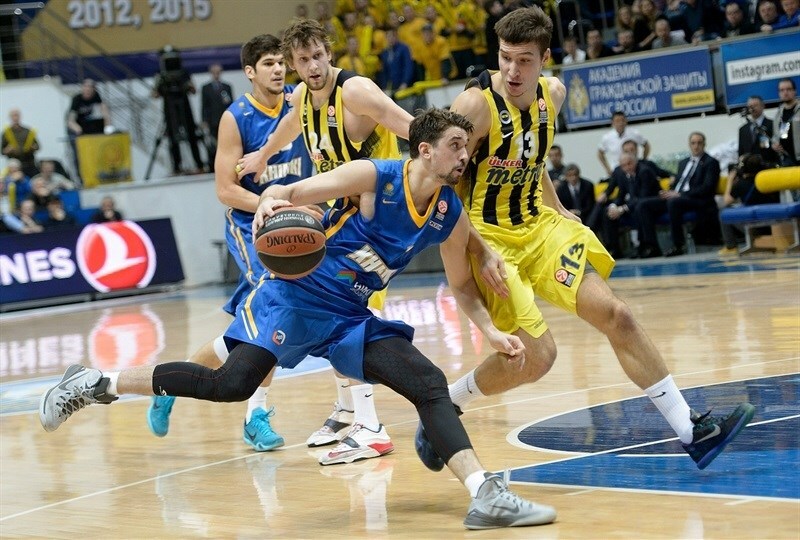 Fenerbahce did not score for four minutes, and Shved nailed a three-pointer to put Khimki up 56-52. But Dixon ended the visitors’ drought with a fastbreak layup, and Vesely scored in traffic from close range to tie the game at 56-56 midway through the fourth. After a timeout, Shved knocked down a three, but Bogdanovic matched it. Shved knocked down another three-pointer, and after Bogdanovic answered with a tip-in, Augustine had a dunk inside, and Honeycutt a fast break to open a 66-61 lead with three minutes to go. After a timeout, Dixon hit back-to-back triples, but Dragic banked in a floater over Vesely that made it 68-67 with 1:29 to go. After another timeout, both teams held on defense twice. Fenerbahce had the last 12 seconds to score, and Udoh ended up on three free throw line. After making the first, he missed the second free throw, but Bogdanovic tipped it in to put the visitors in front 68-70. Udoh intercepted the ensuing inbound pass to seal the win. "First I want to congratulate the Fenerbahce team on a good game. 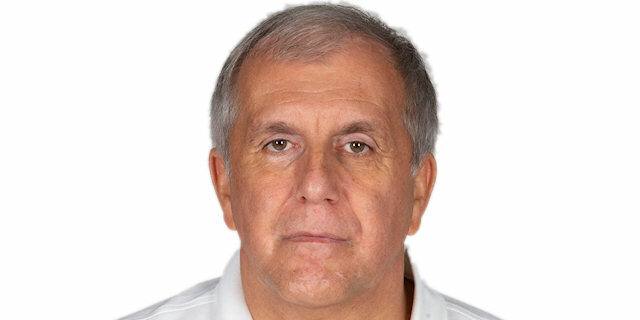 Coach Obradovic did a great job. The game was tough and nice for the spectators and for us. It’s sorry that we lost in the end of the game. We made a couple of mistakes, we didn’t box-out and made the last turnover. These details were the most important ones in the game. But we were as strong as Fenerbahce and it was like the first game in Istanbul where we lost in the last seconds. I don’t know; maybe the reason is that we don’t have enough experience to win Euroleague games. So we’ll try to do it. I’m happy that we've passed into the next round of the competition and we’ll see what’s going on." “Before the last games in this part of the Euroleague, it was obvious that our group had been the most difficult one in the competition. Only in our group we didn’t know two teams who would qualify to the Top 16. The good thing is that both teams, Fenerbahce and Khimki, are already in the Top 16 and it was a good opportunity to play a good game. The best thing was that both teams wanted to win the game. 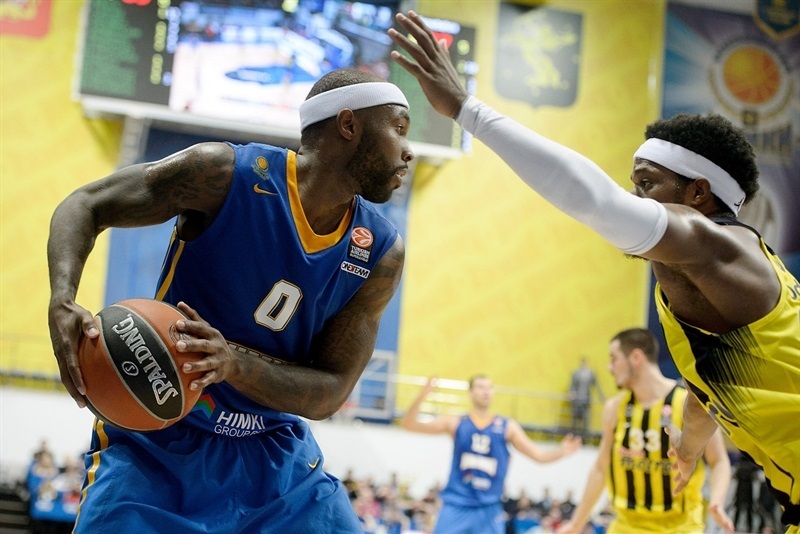 Khimki opened an excellent game as Tyrese Rice was incredible with 15 points in the first quarter. He had a lot of one-on-one situations and our main problem in defense was to stop the one-on-one game. It was very interesting game with a lot of fight, but not so much quality. 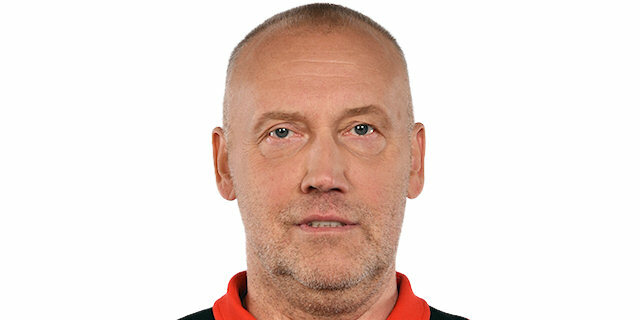 I believe that Khimki is an absolutely different team with Paul Davis and without him. I talked with him before the game and he expects to be ready for the Top 16. We won the game only by 2 points and it’s easy to recognize that in the end of the game it was also a possibility for Khimki to win. The difference was not so much. I want to congratulate my players because in a very tough group almost two weeks ago we passed to the Top 16 to be first in it. The spirit of the team was excellent even though we didn’t play well. We fought a lot and because of this we won the game. Now we have to wait and see our group in the Top 16 but we must prepare ourselves to play a little bit better than we played until now. Good luck to Khimki in the future." "We came up short and everybody played well tonight. In the end we let them go to take the lead. We were playing well as Shved and Rice were great. We rebounded and played defense, but let them go in the end. In the last possession we dropped the play and they did well." "We knew that the game would be tough. Khimki is a good team that plays at a high pace and scores a lot of points. We played our basketball and at the end came out with a 2-point victory. The key was defense tonight."